Here is a list of best wordpress content filter plugins that will help you in adding a content filter on your wordpress website. These wordpress search filter plugins allow visitors to search content on your website based on category, tags, taxonomy, post type & post date. All the plugins are easy to add and customize, also these plugins are free to use. Having a search section on your website makes searching content easy for your visitors. Check out plugins list and some key features below. Search & Filter is the most used and popular wordpress content filter plugin. This is a free plugin but also have a premium version that provides you more features than you get in its free version. In free version you can’t make changes in plugin setting or layout, you have to go with the default settings. You have to buy its premium version for advanced features. What this plugin allow you in free version is that you can show a search filter section where visitors can search content based on category, tags, date & custom taxonomy. If you need a basic content filter for your website then this is the best for you. This plugin also allow you to search content based on custom taxonomy, categories and tags. This plugin has a beautiful layout design that will make you website more beautiful and effective. Beautiful taxonomy filter plugin can be used in widget area, on home page, post or within pages. You can easily setup what field you want to have in search filter section. The best combination from my opinion is custom taxonomy > category. You can simply add other sections like date, tags or post type too if you want to. Filter custom fields & taxonomies light plugin make you able to create an advanced content search filter on your website homepage or within internal pages. Like other plugins in this list this plugin too use categories, tags, custom taxonomies and post date to filter web content. The difference between simple search bar and taxonomy search filter is that simple search bar don’t provide the specific results and on the other hand advanced search filter provide the specific results for your search. Filter Custom Fields & Taxonomies Light also comes in premium version where you get more options to work with. Get its premium version to unlock features that allow you to place filter on website anywhere, customize search result order, highlight matching text and many more interesting key features. 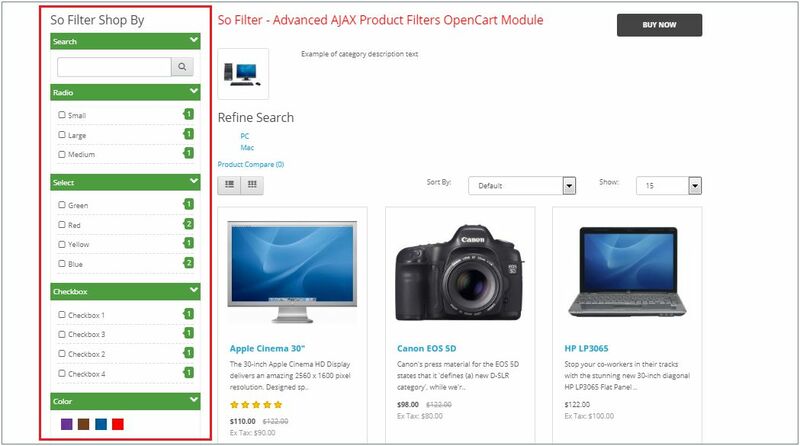 WooCommerce Ajex Product Filter is best for ecommerce website where you have to filter out products based on multiple fields. This wordpress product filter allow you to add multiple fields like product category, brands, price, color, discount, popularity and size etc. These kinds of filters are very useful for ecommerce portals this allow visitors to filter out the best product for them based on their choice. This plugin display search results in a nice sorted way it displays more detailed information about posts and pages without even visiting particular pages and posts. In filter you can show categories/tags with checkbox, dropdown or radio button and can change other settings too like fonts, result display page layout design etc. This is another ecommerce product filter plugin we have here in this list that’s for free. 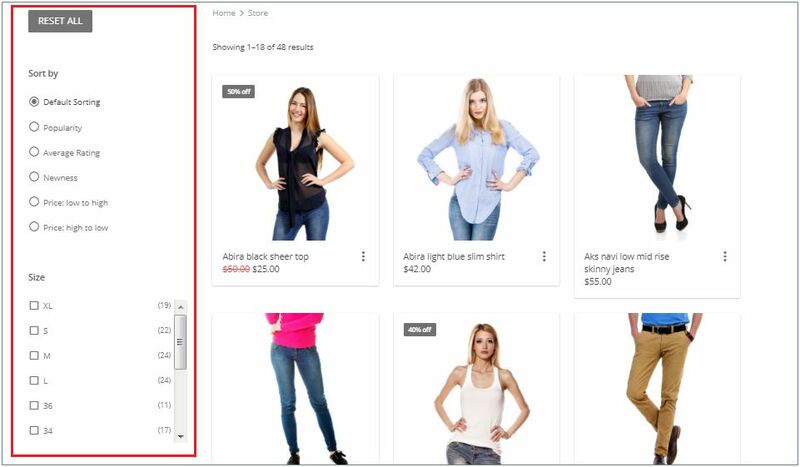 It helps you to add a filter on your online store to filter your products based on multiple options. So Filter plugin allow visitors to sort products based on price, manufacturer, size or color by just one click which is really cool. Plugin is responsive, customization is also easy in back-end you can simply drag and drop fields, can change field text, color, font and layout too.